How hot is the housing market in San Jose, California? 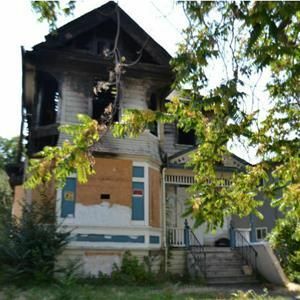 So hot that a burned-out house is on the market for nearly $400,000, and potential buyers – some ready to pay cash – are already lining up. The property, located at 435 South 7th Street, had been abandoned for several years before being extensively damaged by a fire in 2012. The current owner is now looking for a quick sale and has set a deadline of 6 p.m. PST Thursday to accept a bid. The Victorian-style, four-bedroom, two-bath house has 2,176 square feet and was built in 1895. It's on a 6,229-square-foot lot. It's the lot's location – near the campus of San Jose State University and the downtown area – that makes this property so attractive. "It's a choice property for an investor," said Bernie Sinsay, a real estate agent who is representing potential buyers. "It's about four houses down from the university campus." Other properties in the neighborhood sell for anywhere from $375,000 to $450,000. Few, however, are in the condition of this property. Lea King, the broker handling the sale and also the owner of the property, said the property is so severely damaged that it needs to be demolished. "This is not for a buyer who's looking to put in a new kitchen and a new set of stairs," King said. She expects the next owner to take the existing house, "down to the foundation." King purchased the property in June for $400,000 from a group of investors. King said she has never been inside the house. She was laid off from her full-time job in August and can no longer afford to develop the property into student housing as she had hoped. But, the property is already attracting bidders who are willing to do a cash deal and are prepared to tear down the structure and replace it with something that will benefit the community, she said. Although she's not looking to make a profit on the deal, King confirmed that several of the bids received are above the asking price. Whoever ends up buying the property will likely feel as if they've scored a bargain. Inventory is tight in Santa Clara County and prices have remained consistently high. Sinsay said his biggest house sale was $700,000 and current home values in the area are at $741,500 and growing an average of 19 percent year over year. For buyers interested in this San Jose, California, teardown, offers are due by 6 p.m. Thursday. 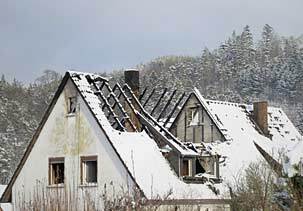 Re: $400,000 for a Burned-out Home? It's more like buying the property to place a new house upon.